Saltburn by the Sea, explore coast and countryside. Discover the spectacular Heritage Coastline , and countryside. Saltburn by the Sea is sandwiched between the Heritage Coast of Cleveland and the North York Moors National Park. With its towering cliff faces and rolling countryside it is an area of stark contrasts and surprises! The area offers a wealth of attractions and events, sporting and leisure facilities, retail therapy and gastronomy, nightlife and wildlife. Wherever you choose to wander there are walks in the region to suit everyone. Whether you enjoy walking along soaring cliffs listening to the call of seabirds and taking in the breathtaking sea views, trekking over heather-wrapped hills and moors, visiting bustling market towns or wandering through tranquil forests you can get away from it all right here. Take a circular route or long distance trail and enjoy the magnificent mix of countryside and coast. Though yet in its early stages we are developing this part of the website to provide fingertip access to some of those places, attractions and facilities that surround Saltburn and its gritty ironstone heritage. Saltburn itself has much to offer the visitor. Developed originally as a Victorian seaside resort it still offers beautiful gardens set amongst preserved woodland, long stretches of sandy beach and rugged sea cliffs. It is also home to the oldest remaining water balanced cliff lift in Britain still in operation as well as a miniature railway and the now diminished yet still magnificent Victorian pleasure pier. The town itself is on the Cleveland Way and just south of the town beneath the towering mass of Huntcliff the original hamlet of (Old) Saltburn still endures the ravages of the North Sea. Whatever the weather don't let the rain stop play. There's lots to explore only a short distance away so here's a taste of what you can do if the fret rolls in or it starts to rain. Saltburn Woodlands Centre and Rifts Wood is set amongst the original Victorian landscaped gardens and ancient semi natural woodland. The visitors centre is within easy access to the coast, amemity grassland and picnic areas, a bird feeding area, formal Italian gardens, children's adventure play area, miniature railway and woodland walks. 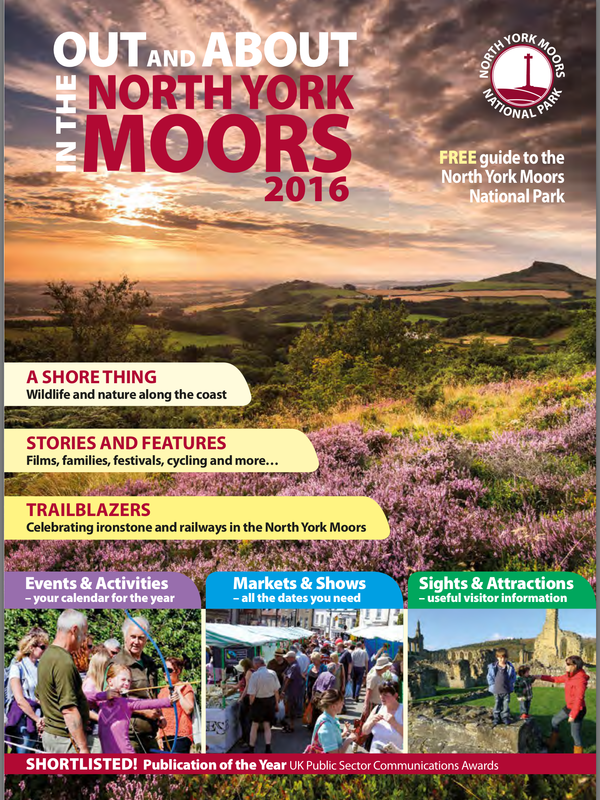 Danby Moors Centre is the flagship visitor centre for the North York Moors and is set in an idyllic spot on the banks of the River Esk. From the doorstep, you can see pretty much everything that makes the North York Moors National Park so special: moorland, woodland, farmland, miles of hedges and drystone walls, historic buildings – all basking in glorious peace and quiet. There are loads of fun and fascinating things to see and do, inside and out, and admission is absolutely FREE. Winkie's Castle was founded by local cobbler Jack Anderson in 1975, and houses many unique hands-on artefacts from hundreds of years of Marske's history. The entrance hall features a time line panel that lists every significant local event back to the 4th Century Roman Signal Station on Huntcliffe. Re-dressed period rooms and a fascinating audio-visual presentation informs visitors of Marske's history and the friendly and knowledgeable staff are happy to answer any questions on the area and its heritage. North Yorkshire Brewery, Pinchinthorpe: based at Pinchinthorpe Hall near Guisborough, a privately owned country house. The NYB Company produces over 20 organic cask and bottled ales. The key ingredient is spring water from a natural spring that has been in use for over 1,000 years. The Organic Food Federation has awarded the brewery with their Certificate of Conformity. It is possible to visit the micro brewery and see just how the beers are produced using traditional methods. Tours include an opportunity to sample freshly brewed beers. Advance booking is essential for the tours. Contact 01287 630200 for further details.